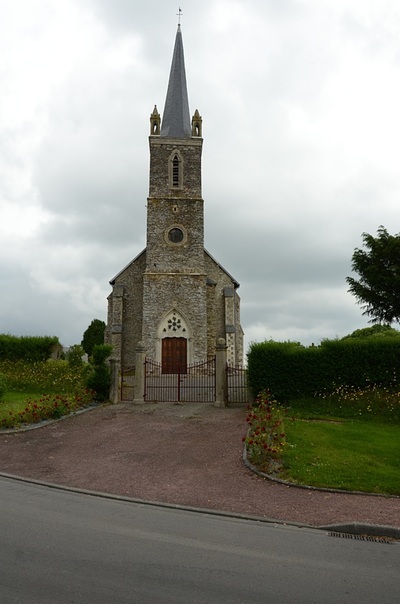 The village and commune of Baudre is 4 kilometres south-east of St. Lo. 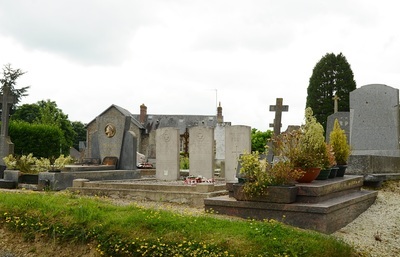 In the churchyard, 16 metres south of the south-eastern corner of the church, are the graves of seven airmen of the Royal Air Force. Three of them are not identified. 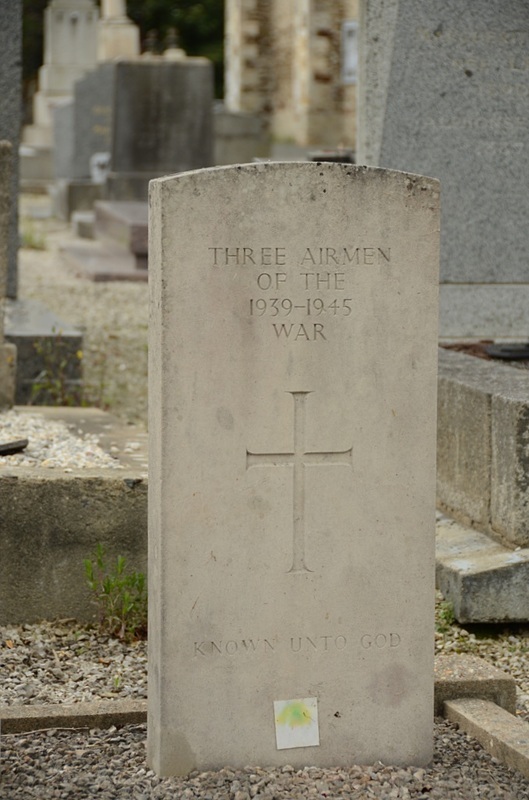 165926 Sergeant Ronald Walter Abrams, Air Gunner in 149 Squadron, Royal Air Force Volunteer Reserve, died 6th June 1944, aged 20. Son of George and Amelia Alice Abrams, of Goodmayes, Ilford, Essex. 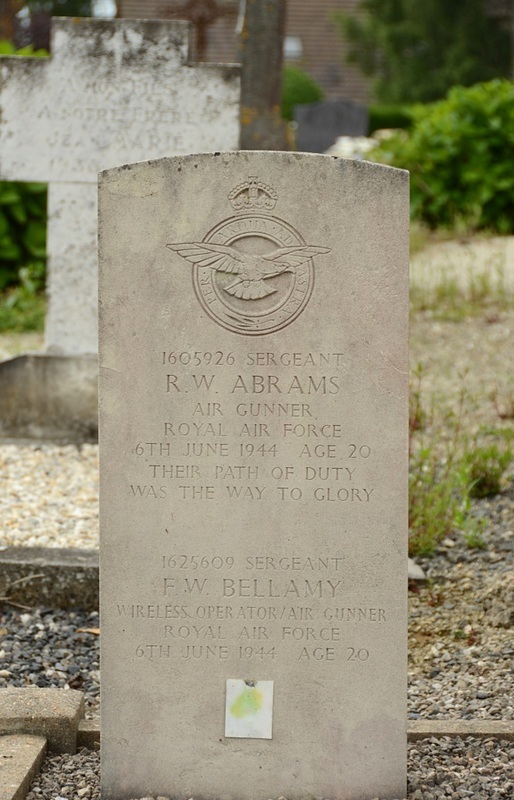 1625609 Sergeant Frank William Bellamy, Wireless Operator in 149 Squadron, Royal Air Force Volunteer Reserve, died 6th June 1944, aged 20. 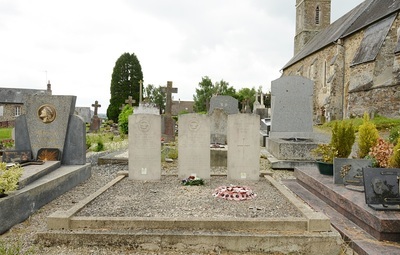 Son of Arthur and Elizabeth Victoria Hackett Bellamy, of Sheffield. 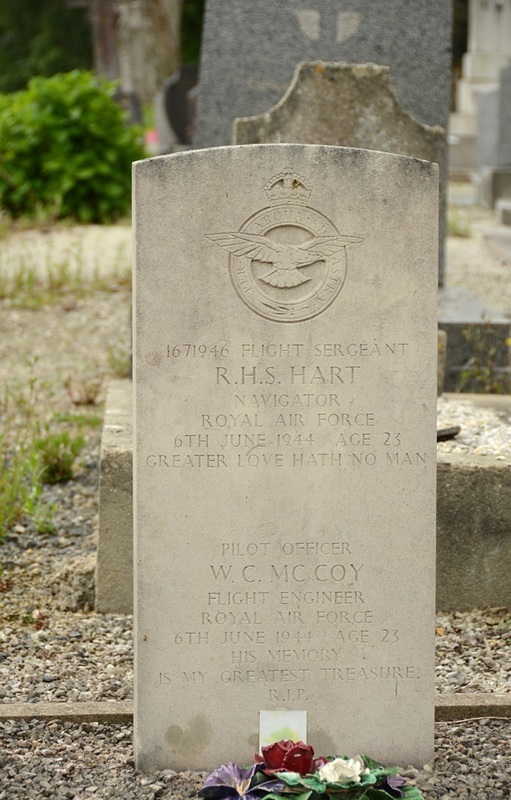 1671946 Flight Sergeant Robert Henry Standing Hart, Navigator in 149 Squadron, Royal Air Force Volunteer Reserve, died 6th June 1944, aged 23. Son of Aaron and Ethel Mabel Hart, of Heap Bridge, Bury, Lancashire. 55793 Pilot Officer William Christopher McCoy, Flight Engineer in 149 Squadron, Royal Air Force, died 6th June 1944, aged 23. Son of William and Mary McCoy; husband of Gwenville McCoy, of Norton, Stockton-on-Tees, Co. Durham.